Over the past several years, Percutaneous Coronary Interventions (PCIs) (also known as Coronary Angioplasty), have provided a safe and efficient treatment option for patients with Coronary Artery Disease (CAD). Less recovery time, minimally invasive procedures, short hospital stays etc. make stenting procedure a preferred treatment option for CAD. With the 3V KROME Stent System (CE approved), S3V Vascular has taken a significant step towards enhancing this standard of care. 3V KROME is a fusion of accurate deliverability, enhanced durability and outstanding clinical results, leading to a safer and healthier tomorrow for our patients. A stent is implanted in the blocked artery via a minimally invasive procedure called Percutaneous Coronary Intervention. Usually, prior to stenting, cardiologists perform a pre-dilatation procedure, wherein the blocked artery is dilated using a balloon catheter (i.e. A catheter with an inflatable balloon attached at its tip). Once the pre-dilatation procedure is completed, the stent is threaded over a balloon tipped catheter to the target location. The Stent is adequately sized in order to avoid future complications. Once the stent is appropriately positioned within the blocked artery, the balloon is inflated, which in turn expands the stent and locks it in place. 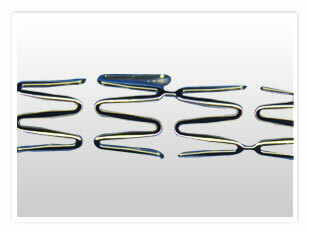 Bare metal stents are small-hollow metal tubes, without any additional coatings such as drug, polymer etc. (as opposed to drug-eluting stents). Over the past decade, most bare-metal stents were made of stainless steel. However, more recently, Cobalt Chromium has proved to be the metal of choice for bare-metal stents, and has brought along considerable improvements, in terms of deliverability, radiopacity, stent profile, trackability etc. Globally more than two million cobalt-chromium stents have been implanted till now. It can be noted that Cobalt Chromium alloys have been extensively used in Dental and Orthopaedic Implants. The 3V KROME bare-metal stent, made from advanced cobalt chromium alloy, provides uncompromised radial strength and radiopacity. 3V KROME’s unique design, comprising intermediate and open cells, offers outstanding flexibility and optimal vessel support. Uniform luminal enlargement, resulting in accurate inflation/deflation and optimal long-term results. The results have been outstanding - 3V KROME has truly enhanced the standard of care for Coronary Artery Disease and is becoming the choice of stent for an increasing number of physicians every day.